Trolleys and pallet frames especially designed for vacuum-packed meat delivery from the slaughterhouse to the point of sale. 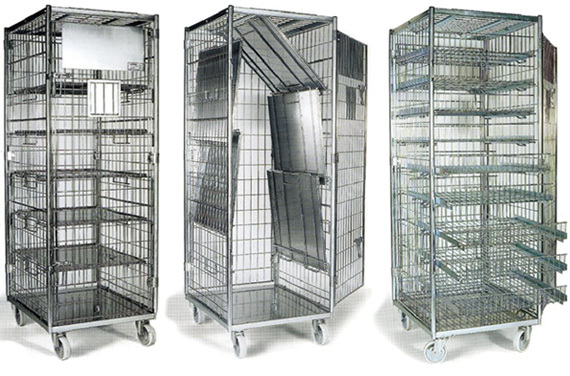 Roll cages ideal for meat processing and internal distribution prepared in food trays and packaged. Stainless steel trolleys available upon request.